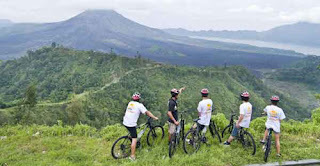 Cycling downhill, Let's join us to see the real Bali on our cycling tour, at the beginning will will pick you up at your accommodation and we bring you up mountain area of Kintamani, best known as a location with spectacular views. You will have breakfast overlooking the still active volcano, Mount Batur and one of its three lakes. After that you will ride one of our modern mountain bike for 3 hours, our friendly and professional guide will show some scenic places to you. It will be something different views you have never seen before. Our guides are well informed about the background of the villages and there isn't any traffic along the way we will pass the traditional culture and the countryside, so you will have opportunity to be exposed to the local people. 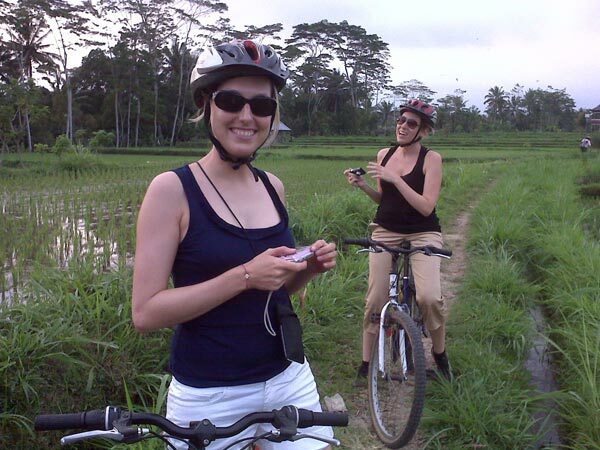 During the bike ride you would be able to stop wherever you like to and take advantage of every photo opportunity and meet with local people , as well as you can find out details about village life including rice and vegetable farming, ceremonies and family life. At noon we will serve some Balinese Food at a Balinese compound , prepared by a Balinese cook as we say ... real Balinese. Enjoy smoked chicken, Sate, Noodle, green vegetable , fresh from the farm & we also cater for vegetarians. After lunch we bring you back to your accommodation. 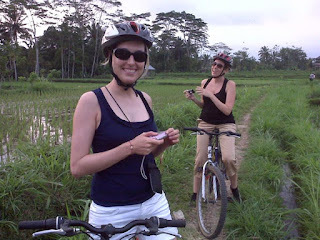 Ubud country side, Ubud Biking Countryside is designed for travelers who has the short time to stay in Ubud want to seek to go deep into Bali's countryside and witness first hand the daily life of village people and Hindu's cultural. The tour will take 2,5 to 3 hours and during the trip we will stop at rice paddies to see how the farmers they work in rice field, second we will visit the Balinese house compound and also we will stop at one of Hindus temple. Beside that you are be able to stop wherever you would like to and take advantage of every photo opportunity and meet with local people. 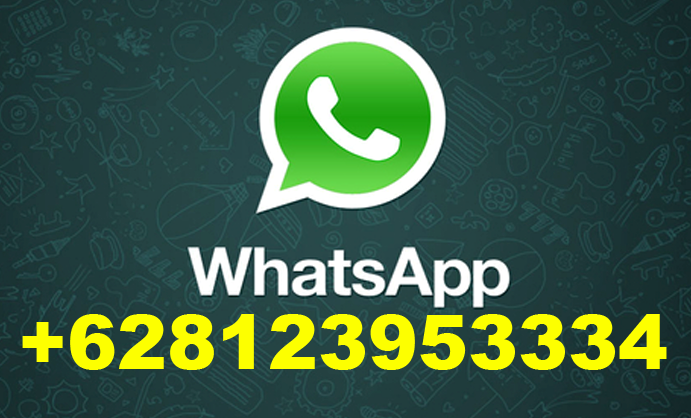 - Air Conditioned minivan for in and out transfer to or from the hotel. - Balinese Lunch, Cool face towel after tour ride.